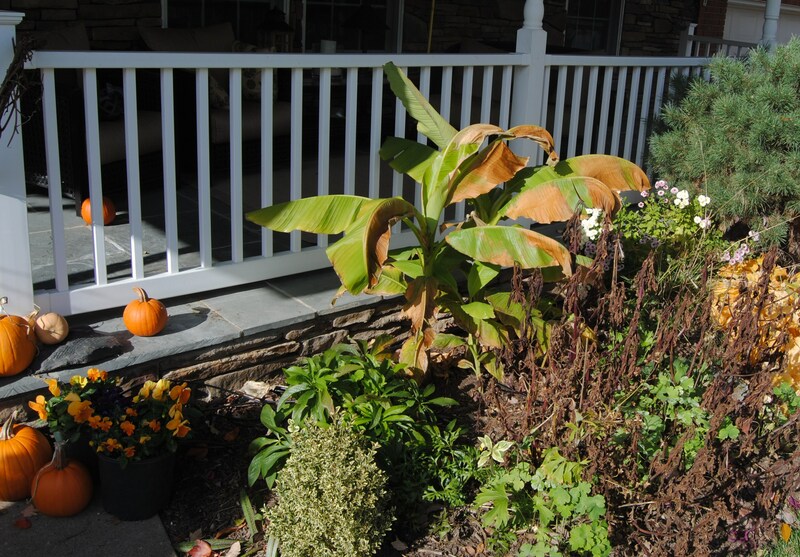 This entry was posted in fall, overwintering tropicals, Tropical garden, Uncategorized and tagged fall color, fall garden, garden cleanup, musa basjoo, overwintering tropicals. We had some squalls come through Thursday night and it was a slap of reality to see a dusting of snow on the ground on the morning commute through the mountains. I’ve gotten even more desperate 😉 I’ve been stalking the online websites for their sales and imagining what I will get when the sales start! Traditionally the end of November (the day after thanksgiving) is when I hit the online sales. I’m torn between bulk tulips or various small goodies. I don’t think I should do both but spring bulbs are all I can think about lately! Only if it’s the bulk tulips! One year I had to chip through the crust of ice to get them in the ground! Wow, ain’t that a smashing view, Frank?! All these colours and trees – never noticed it properly before. I’m glad you got all your tender treasures in. Wind and rain here, I’m afraid. Do you mean you can leave the Musa outdoors in winter? Thanks! 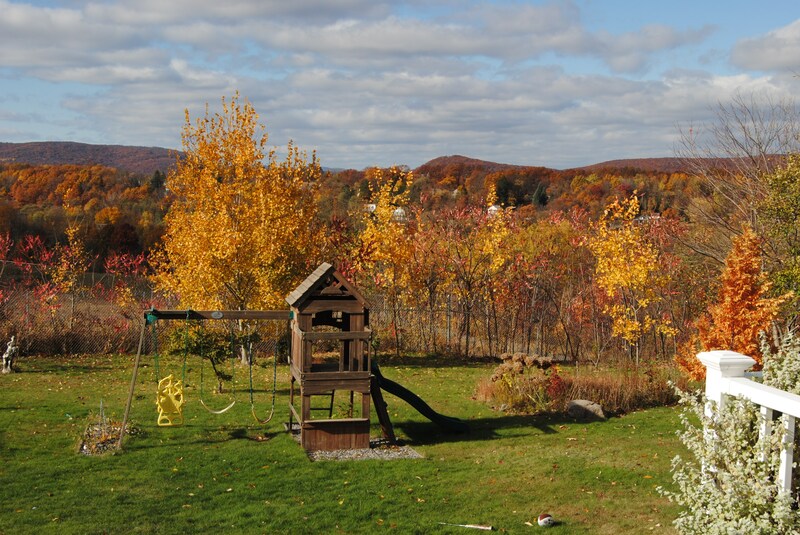 The colors at the end of the season have been nice even though so many trees dropped their leaves early.